Two Nights In New York City - just enough time? Or not even close to enough? Arguments could be made for both. The latter relies on the premise that this is not your first or only time visiting. 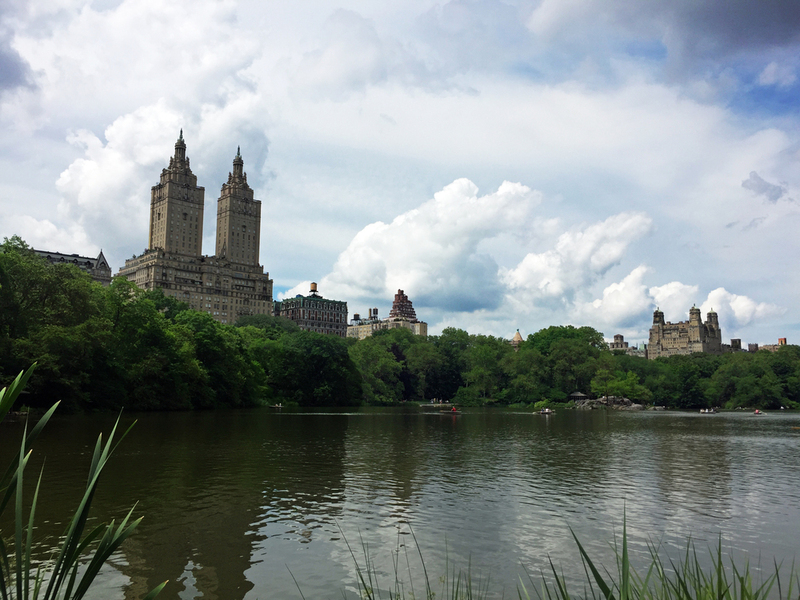 New York City has so much to offer it simply can’t be fully experienced in one trip. Like any great city, NYC is a revolving door of personalities, but this isn't just the people, the city itself can show you any number of sides. It all depends on what you’re looking for. Rest assured, New York City has something for everybody. On our most recent trip to the "Big Apple" a few weeks ago we chose to stay in SoHo. SoHo is the quintessential Industrial Revolution turned Restoration Hardware chic neighborhood. Old cast iron fire escapes stream down brick buildings giving the neighborhood a true Manhattan feel. Adding to this is the multitude of hip coffee shops, designer clothing stores, boutique hotels, and restaurants lining the streets. Sadelle's, a Jewish deli inspired twist on modern brunch holds its own on West Broadway. With a menu that harkens back to the old days in a setting fit for the most Snapchat savvy Millennial, Sadelle’s really delivers. Known for their towers of smoked fish and bagels, we couldn’t get enough of this place. The interior design alone is worth a stop. Our favorite meal of our stay happened at ABC Kitchen. Located just a block away from Union Square, this meal was one of a kind. It's not hard to see why Chef Jean-Georges Vongerichten received a Michelin star. The highlights for us were the line caught tuna sashimi with ginger and mint, the roasted beets with yogurt, and the crispy pork confit. The cocktails were top notch as well, and we enjoy a good cocktail. In our book, the best cocktails are simple and timeless. We seem to be headed out of the mixologist era and that's probably a good thing. We’ve seen bars in LA that offer 18 ingredient Bloody Mary’s, all fresh from the farmers market that cost $23/drink. Not that this isn’t necessarily enjoyable, it's just not really our thing. 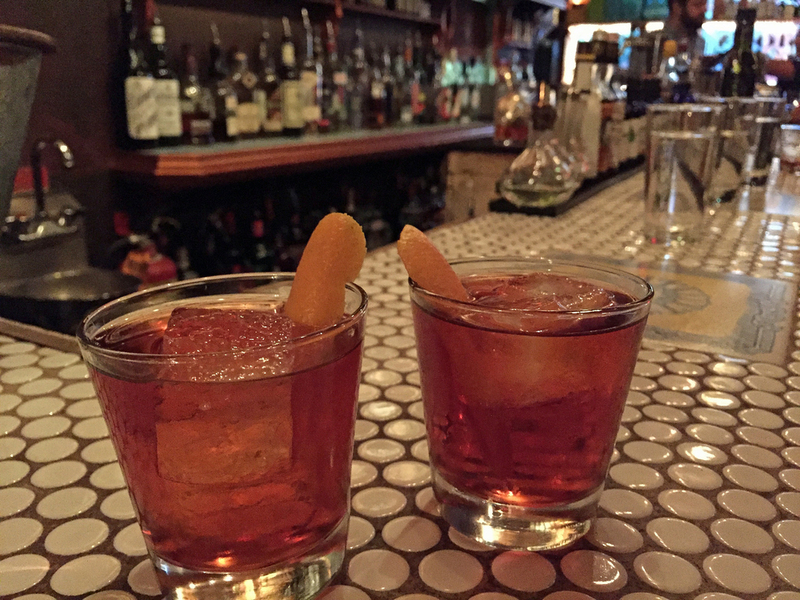 Give us a classic Negroni or Manhattan and we’re happy. Amor y Amargo in the East Village has an approach to cocktails we can get behind. Classic, timeless cocktails with one huge underlying theme, Amaro. The focus at this awesome little spot is the bitters. There isn’t some huge assortment of gin, whiskey, vodka, or tequila. They basically have one of each. What they do have in large numbers is an impressive assortment of Amaro, a bitter european (usually Italian) liqueur. Using this endless palate of herbaceous bitter flavors, the bartenders at Amor y Amargo craft some truly unique adult beverages. We fell in love with the 8 Amaro Sazerac, a proprietary blend of 8 Amari, bitters, and a bit of Chartreuse. Complex and unique. Go to this bar, we can't recommend it enough! Keeping with our food and beverage theme - other stops we really enjoyed were Aria in the West Village, Chelsea Market in Chelsea of course, and Via Carota also in the West Village. Again, New York has something for everyone, from hot dogs to Foie Gras, few cities in the world cover this broad of a range and do it well. We’re very much looking forward to our next trip to the city that never sleeps.